Dimethyl sulfoxide (DMSO) is commonly used topically to treat inflammation in horses. A byproduct of paper production, DMSO was originally created as an industrial solvent; it is now approved for veterinary use by the Food and Drug Administration. Banned from some horse sports, DMSO use in horses has not been well studied. DMSO is a nonsteroidal anti-inflammatory (NSAID), but it works as an antioxidant, binding with free radicals that damage healthy cells. Trapping these free radicals slows the inflammation process. DMSO can be injected directly into a soft-tissue injury that is difficult to treat or that involves dense tissue. Additionally, veterinarians may administer DMSO orally or via IV to attempt to halt laminitis. The ability of DMSO to rapidly penetrate skin was discovered by accident when the chemical was spilled on people's hands and they received a garlic taste in their mouth almost immediately after. DMSO can carry substances through the skin, which can be helpful in treating skin infections or fungal eye infections. DMSO may be able to provide pain relief without being mixed with other compounds. It blocks or slows impulses along nerves, reducing pain when it is used. DMSO draws fluid from tissues, making it helpful in treating edema or preventing stocking up. 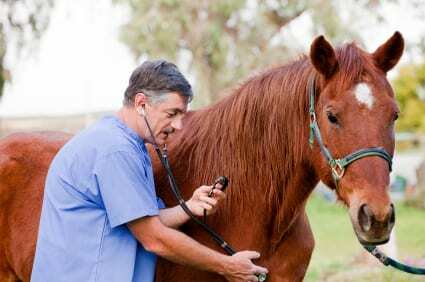 It can draw fluid from the lungs of a horse with pulmonary edema or reduce swelling of the spinal cord and brain in horses affected by diseases like West Nile. This entry was posted in Horse Care, NL List and tagged dimethyl sulfoxide, DMSO, FDA, free radicals., nsaid, penetrate, solvent by Paulick Report Staff. Bookmark the permalink.